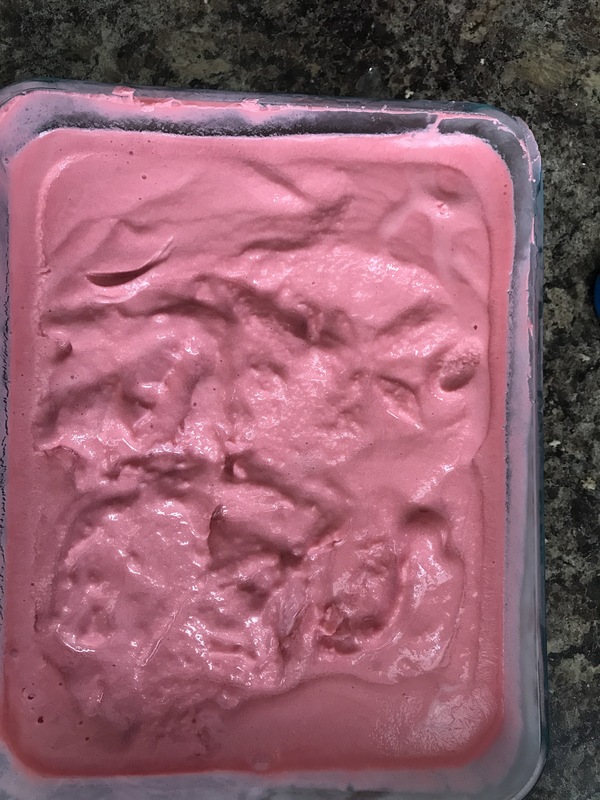 Recently a fellow blogger posted how Kool-Aid Sherbet has become one of her kids favorite treats. My own kids also love sherbet; I think it&apos;s part of their genetic code inherited fron their Dad, who loves sherbet! 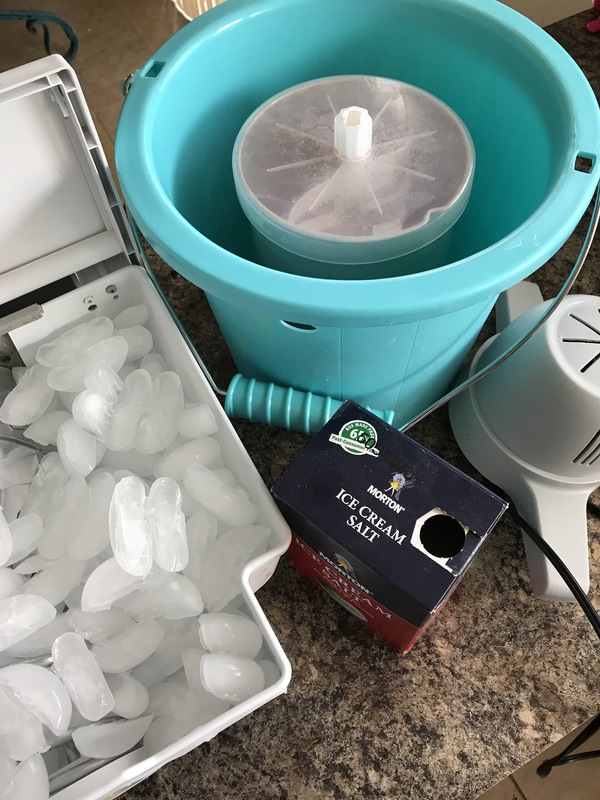 I make a lot of home made cake batter ice cream, but I never thought of making sherbet until recently after suffering sticker shock at my local grocery store. Needless to say this pin on pinterest intrigued me. When Nellie over at Butter with a Side of Bread posted this last month, she stated how she successfully blended this by hand. I decided to make the recipe in my ice cream maker. I doubled the recipe using 2 Cups of half and half and 4 Cups of whole milk. I only used 1 1/4 C. of sugar. I wisked the sugar in the milk until it was dissolved. I then added in two packs of Black Cherry Kool-Aid. 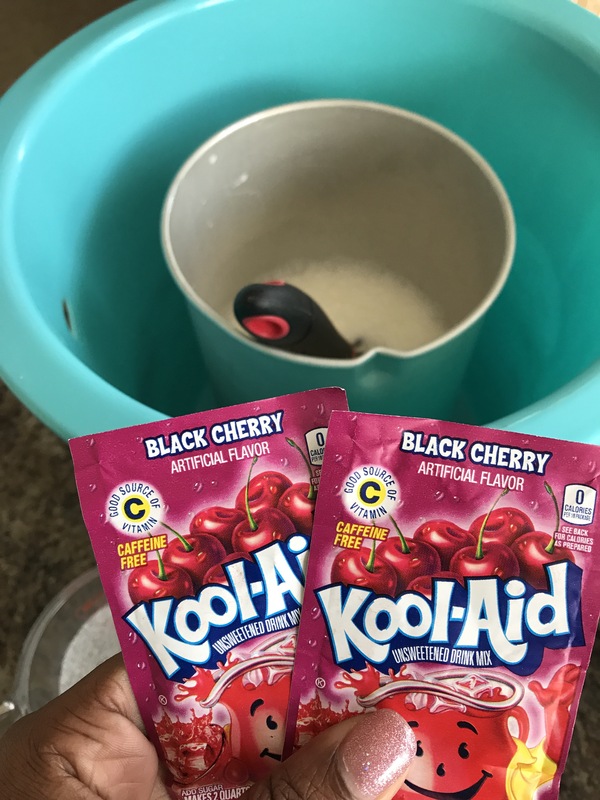 Once the Kool-Aid was blended, I followed the same steps as if I were making ice cream. I set the timer on 30 minutes. This usually gives me soft serve ice cream. I then transferred the sherbet into a freezer safe container. To harden the mix I let it freeze another 30 minutes before serving. It was still very soft. It was firmly set after two hours. My husband and kids loved the sherbet and are excited to try more flavors. In the future, I will reduce the sugar to one cup because I thought it was really sweet. The flavor was stronger than store bought sherbet. Afterward, I wondered if I could double the base but use only one packet of flavor. By the way, I only got a tablespoon of this one. It was gone by the time I got home from work. I have since tweaked the recipe to mimic the creamy flavors found at the store. Have you tried Kool-Aid Sherbet? What were your favorite flavors? Leave a comment below.